Cambridge has an extremely high cafe-factor. Some of the cafes are missing things that they ought to have, such as coffee or cake, and some have some welcome extras, such as things to read and sofas to lounge about on. Strangely, pavement terraces hardly feature at all, despite Cambridge's tiny annual rainfall. This page tells you which cafes make the grade. Researching this page was a great hardship: instead of doing productive things in the evenings and at weekends I had to sit about in Cambridge's cafes with my friends drinking coffee and even eating the odd bit of cake. 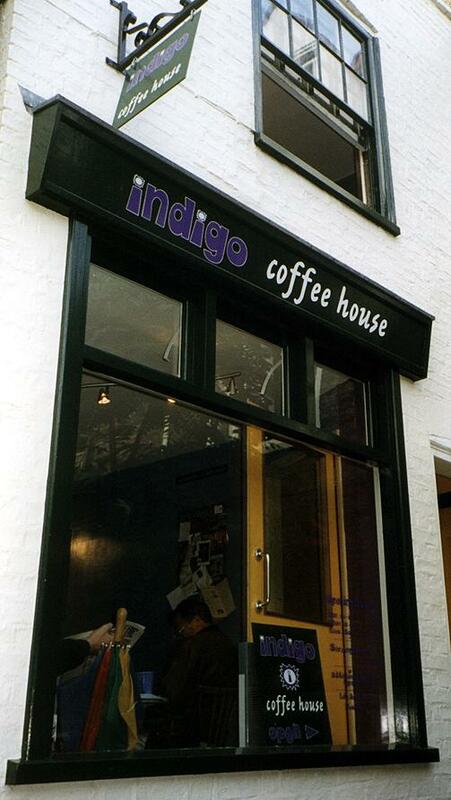 Indigo Coffee House is a much more friendly experience than the other nearby cafes. Indigo Coffee House is cheerful and relaxed - a healthy antidote to the latest crop of production-line coffee 'outlets'. Sitting around downstairs or in the colourful room upstairs feels like being at your mate's place, except that the coffee and hot snacks are good. Claire Hawkins, proprietor, has done well to capture and keep this studenty feel. CB2 has variety, with dashes of bookshop, restaurant, Internet cafe and a very cosmopolitan crowd, with mellow music and a random collection of furniture. 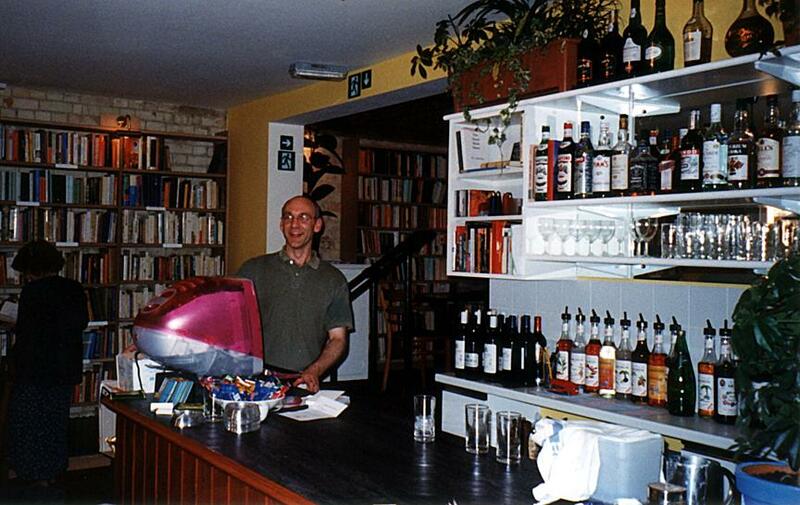 Proprietor Daniel Sturdy (photo) has successfully created a pleasant atmosphere, just like CB1, which remains very much the original. The best cake is Café Rouge's offering - chocolate of course. The best music is jazz at 7a Jesus Lane, where it is live. All things considered my order of preference for these cafes, from best to worst, is CB2, CB1, Picturehouse cafe, Indigo Coffee House, 7a Jesus Lane, Hobbs Pavilion, Grads, No 1 Kings Parade, Clowns, The Copper Kettle, Cazimir, Browns, Trockel Ullmann & Freunde, The Bun Shop: Tapas Bar, Pierre Victoire, cafe Rouge, Savinos. Each cafe or restaurant was given ratings of 'good', 'okay' or 'poor' for each of five criteria, according to what I think about cafes. Note: Marion rated the coffee because, being Dutch, she's better qualified than I am. In case you have to ask, the Dutch drink a lot of coffee.